The raves keep coming for the mighty GS Mini as it continues to redefine what a small-bodied guitar can be. A big sound, a real Taylor playing experience, and a do-it-yourself add-on pickup option already make it hard to resist, but we thought we’d up the ante with some beautiful wood veneer options, too. Choose from gorgeous maple, blackwood and rosewood laminate for the Mini’s backs and sides, all with a solid spruce top. The GS Mini Blackwood is not currently offered as a standard production model. There may be an authorized Taylor dealer with this instrument in stock. If you would like to inquire about the availability of this guitar, please contact your local Taylor dealer or call us at 1-800-943-6782 in North America. For customers outside North America, contact the international Taylor distributor in your country. A blackwood veneer with layered wood construction blends exotic beauty, resilience and affordability. 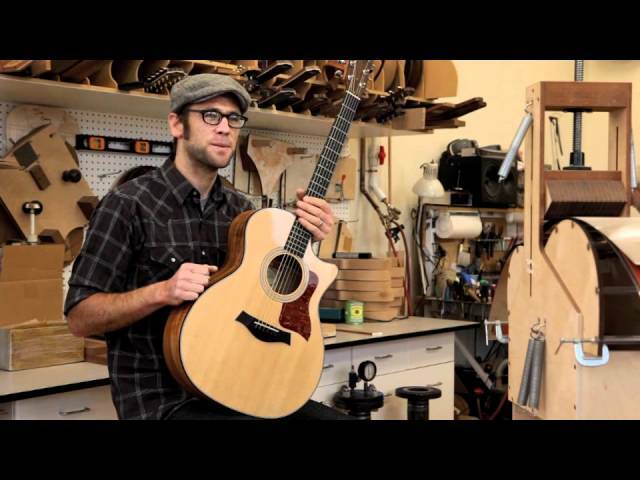 See the GS Mini Blackwood model in Action.